The Westobou Gallery opens April 5th, 2019! 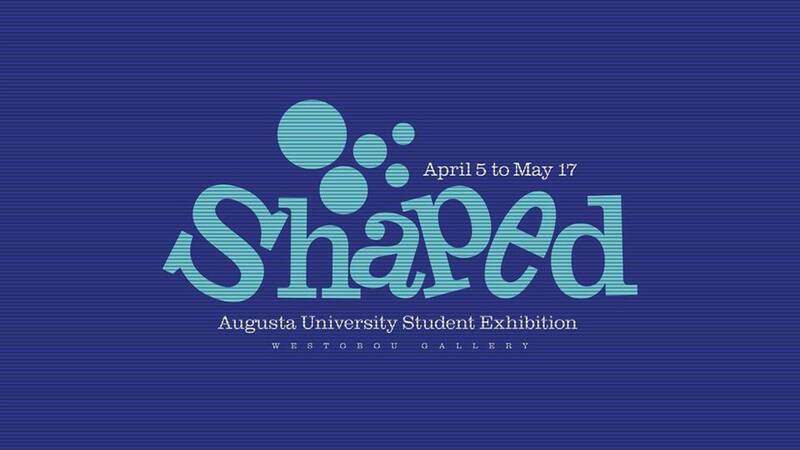 Presented in conjunction with Augusta University’s Department of Art, Westobou Gallery and the Gertrude Herbert Institute of Art will feature the work of graduating seniors. This collaboration provides art students the opportunity to complete a body of work and exhibit in professional gallery spaces. 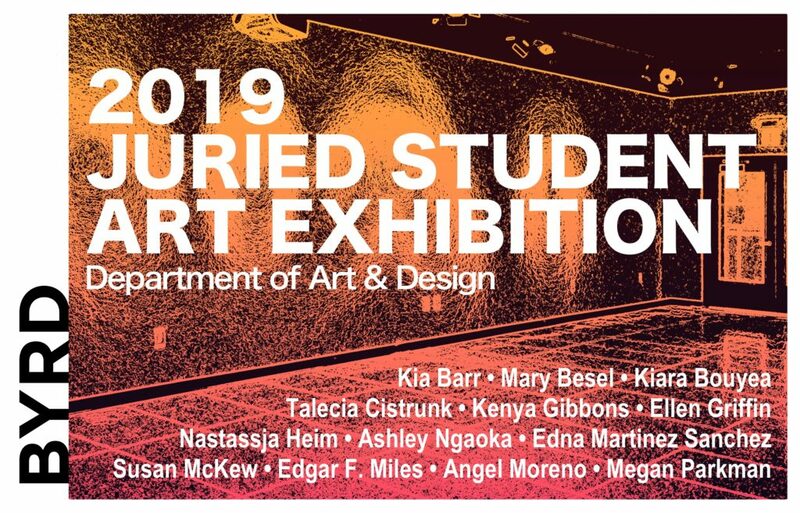 The reception for the exhibition will be April 26, 2019 from 5-8p. Brooke Farmer is a BFA candidate in the general track intending to pursue a graduate degree in Art Education. Her works focus on manipulating and reforming basic forms, playing with the concepts of chaos and order. Brooke aims to show the exploration of 3D printing with ceramics. Each piece shows the manipulation of a basic form that has been created through a CAD program. Kenya Gibbons is BFA candidate in Graphic Design. 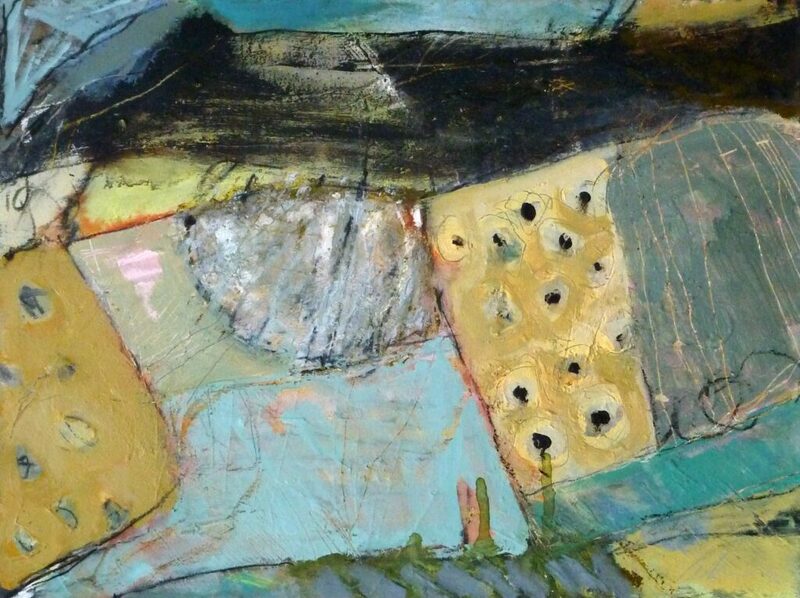 Her work tends to exemplify vibrant colors that contrast to the direct subject. Her work pertains to the subject of realism with expressive line-work that emboldens the form of the subject figure with techniques rendered in strong or heavy hues. Kenya will show elements of African art that conveys expressive energy, spiritual themes, bold patterns and thematic elements of livelihood. Dezzirae Goodrum is a BFA candidate at Augusta University whose work focuses on the connection between hair and how it relates to her own personal sense of identity. By employing the use of traditional and non-traditional materials, her work explores the way in which texture of a common hair braid/twist can be transformed and manipulated. Although she has a very personal connection to her work, she wants the viewers to be able to connect to the artwork through pattern, color, texture and materials. Morgan Hayes is a B.F.A. candidate in Graphic Design whose work focuses on the physical and mental interaction of people and graphic design. She specializes in color theory and has strong technical computer skills. Her posters on display represent the five human senses: sight, touch, sound, smell, and taste. The intent of this series is to absorb viewers with graphic design on a more intimate level by engaging them physically and mentally. Edgar F. Miles is a BFA candidate in Photography and Printmaking whose work is largely based in light-painted portrait photography. Through the use of manual lighting techniques (utilizing flashlights, hand-held flash units, etc.) and long exposures, the created images attempt to evoke an otherworldly, fantastical, if at times grotesque, dreamscape. For this exhibition, Edgar has created several short stop-motion video loops for the viewer to follow an impactful narrative. Megan is a BFA candidate in Sculpture and Ceramics with work that focuses on exploring the boundaries of combining thrown and hand-built vessels as well as the art of beginning and ending a mark. Her slightly interactive ceramic sculptures have been thrown and then altered with the theme being the art of mark making and the significance and symbolism behind it. Having previously pursued a degree in audio engineering after playing music for 15 years, David Thompson is now majoring in Graphic Design with a focus in photography and videography. His recent photographs capture the male form while exploring the concept of projection through light and color. The prints showcase the roles men take on while the projection element correlates to society’s projection of what a man’s role should be.